Last edited by donepps; 10-28-2007 at 10:59 PM. Greaddy sounds f'en great your friend is on something and yeah depending on the condition of the exhaust 300 is a great price for it. 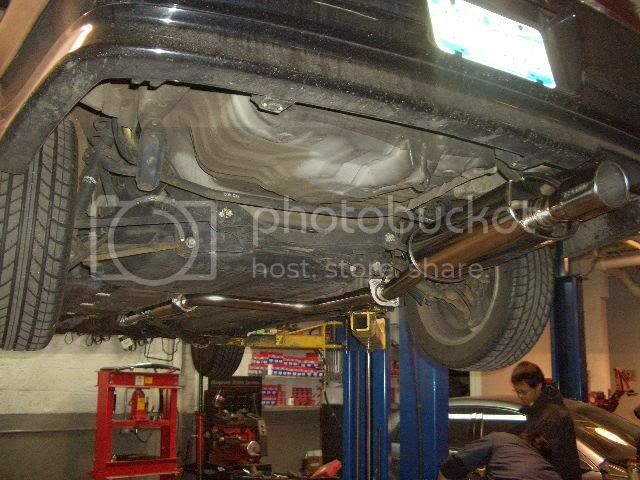 He says the exhaust is in good condition, still like knew... but would the flood have any effect on it? Yeah the whole flooding thing has me thinking twice about it also..
anyone else wanna put in there two cents? Last edited by donepps; 10-28-2007 at 11:56 PM. well if it is the greddy evo then it should be fine the only thing that could be messed up is the packing in the muffler ( its made of cotton and fiberglass ) so depending on how long it was under water might have an effect on the life of the packing its self. find out the model the greddy cat back is and ill or some one else will give you more info on it rusting out or not. I just called him today and he told me its not the Evo but the Greddy SP2... see i dont really know the difference but he told me it was the quieter one. He said its still like brand new and doesnt even have a scratch on it from the rain. Is $300 good? Last edited by donepps; 10-29-2007 at 08:01 PM. Last edited by Prelude13; 10-29-2007 at 07:17 PM. Thanks for the pics... how ca i tell if its ruined? any suggestions... also about the price, does 300 sound good? or should i ask for lower? Evo2 and SP2 are GREAT. The SP2 is a little quieter since it's a twin loop but the Evo2 is a nice low tune but is kinda loud since it is straight through. so is 300 a good price... if not, how much do you think it should go for? darn, I have a BRAND NEW Evo2 Greddy catback for 4th gen. 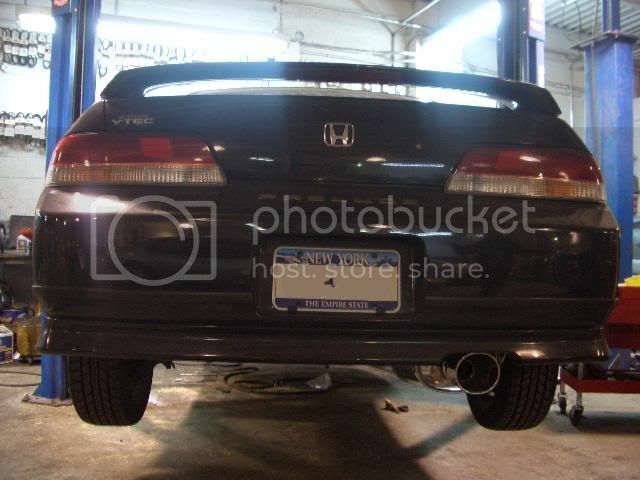 I love this setup the Evo2 is by far the best sounding exhaust on the preludes in my opinion. I'm still trying to get rid of it though. So did you ever instal it? Everything work out with it? Just go for the Greddy Ti-C... not! i have it and i'm regreting buying it.. its seriously just 2.5in straight pipe all the way back to the small can on the back. sounds alright in the lower end(ie out of vtec). 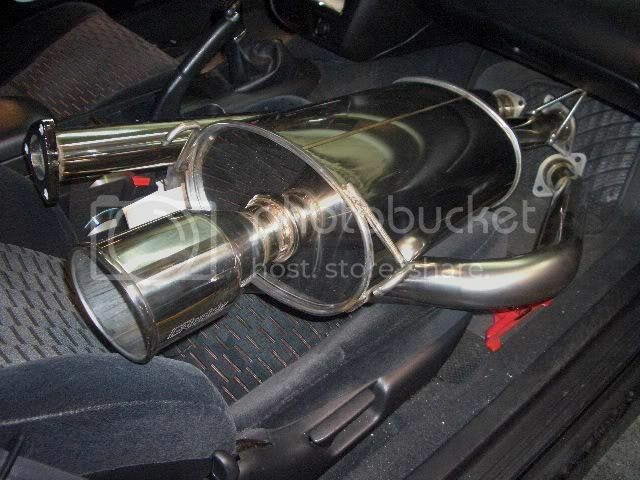 But it gets WAYY to loud in the top end..
anyone have the Greddy Spectrum Elite? im saving up for a spectrum elite and honestly that series takes over the sp2. ya i'm wishing i would of gone with the SE in the first place. suppose to be alot more r&d put into that cat back, they claim its tuned for each application.